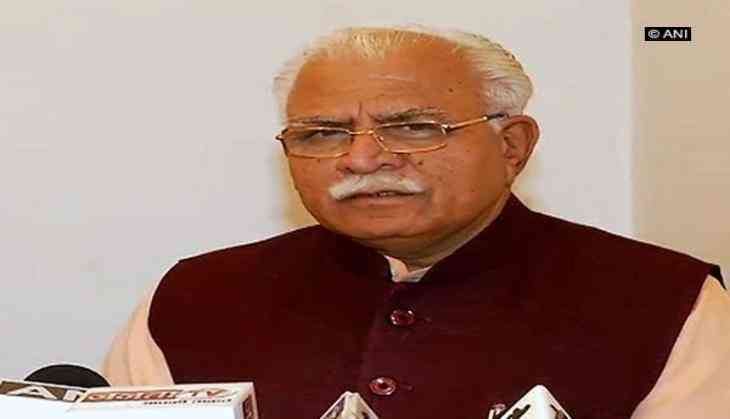 Expressing concern over the increasing pollution level in Delhi and the National Capital Region (NCR), Haryana Chief Minister Manohar Lal Khattar on 9 November asserted that the state is taking every possible step in this regard. He said every state is taking possible steps to minimise the damage caused and if they have to sit with the neighbouring state to find a solution on the same, they are ready to do so. "The increasing level of pollution is a matter of concern; we have taken all possible steps in Haryana in this matter. We have also requested people burning stubble to not do so," he told the reporters here. "If we are asked by the Centre or Punjab to sit and talk together, we will do that," he added. The Health Ministry on Wednesday issued a pollution advisory, asking citizens to drink plenty of water and avoid areas with smoke or heavy dust, among other measures. Stubble burning by farmers in the nearby states of Punjab and Haryana is considered to be one of the main reasons behind the increasing level of smog in the national capital.